On Tuesday evening at Benito Juarez High School, Alderman Daniel Solis announced a contribution of $30,000 for DACAFUND.org to cover the legal fees and filing costs for 50 Benito Juarez students who will require assistance to renew their Deferred Action for Childhood Arrivals (DACA). Alderman Solis asked all elected officials to work with their schools and community partners to assure that no DACA student does not apply for lack of funds. Alderman Solis made the announcement at Benito Juarez Tuesday evening, one week after the Trump administration announced their rescission of DACA. 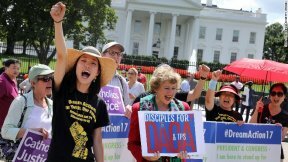 DACA provides temporary immigration relief and work authorization. 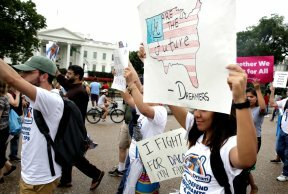 It has benefitted more than 800,000 young people across the country and over 42,000 Illinoisans have deferred action.